Product prices and availability are accurate as of 2019-04-15 11:58:22 UTC and are subject to change. Any price and availability information displayed on http://www.amazon.com/ at the time of purchase will apply to the purchase of this product. 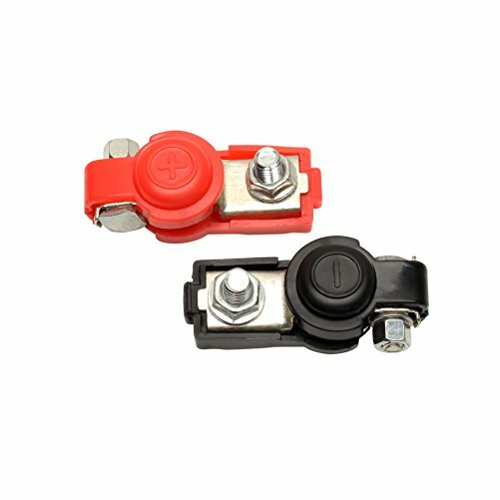 Fits 6V/12V positive or negative battery, Batterty is not included in our package. 1,The main components of the battery pile head is made of copper. Attachment screw and nut are not copper. 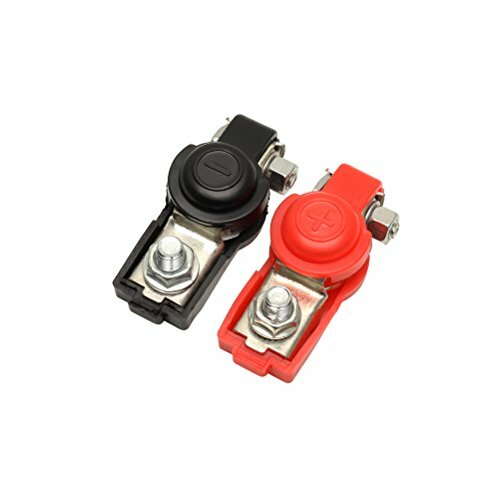 2,Suitable for use in most vehicles,Fit for most car, boat, van battery. 4,The pile head will not break, corrosion resistance, can reduce the voltage distortion and the current transmission loss. 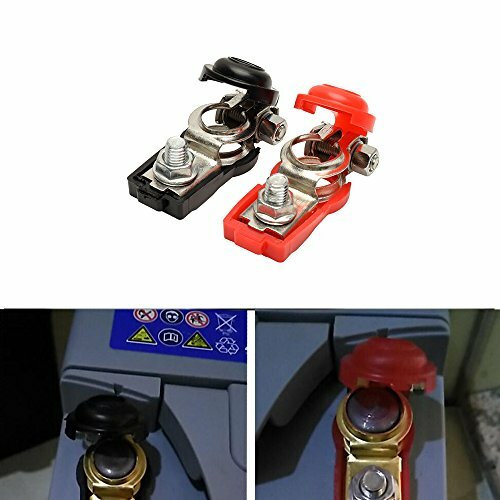 5,Corrosion resistance, good conductive performance, wiring is convenient, and the connection is firm. 100% Brand New & High Quality,One Year Warranty. 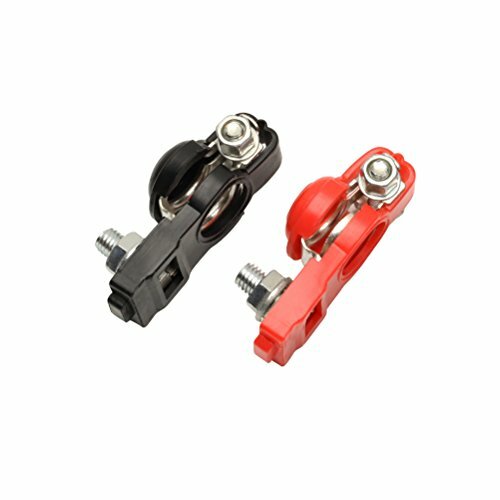 Dimension: 65 x 28 x 20mm/2.6" x 1.1"x 0.8"(L*W*T); Screw Thread Diameter: 8mm/0.3" Material Type: Plastic+Metal(Aluminum Alloy) Out Power: 6V/12V, Color:Red+Black, Item Weight: 110g Positive Battery Terminal Hole Dia. 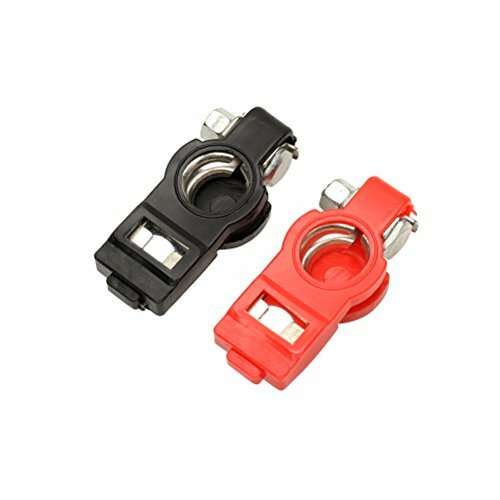 : 17mm/ 0.67"; Negative Battery Terminal Hole Dia. : 16mm/ 0.63"